A new study finds that, in some patients, inactive ingredients can trigger allergic reactions or other symptoms of food intolerance. 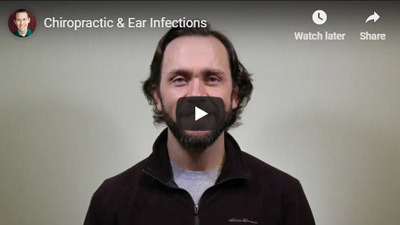 Ear infections are the most common reason parents bring their kids to the medical doctor. Nearly five out of six children will experience at least one ear infection by their 3rd birthday. Researchers have found a significant correlation between Chiropractic adjustments and the resolution of ear infections in children. If your child has been suffering from chronic ear infections, you should get them checked by a chiropractor! Give us a call to set up an appointment and take advantage of the start-up special we are offering all month long for children 17 and under! Just a cool story–it’s never too late!! “We think this part of the brain [the cerebellum] is very susceptible to the environment. And interestingly, it’s a part of the brain that changes most during the teen years. This part of the brain has not finished growing well into the early 20s, even. The cerebellum used to be thought to be involved in the coordination of our muscles. So if your cerebellum is working well, you were graceful, a good dancer, a good athlete. Why is a chiropractic office posting this? Because there is a significant amount of evidence showing that chiropractic adjustments POSITIVELY INFLUENCE THE DEVELOPMENT of the CEREBELLUM!! This is an area of research that is developing and exciting to see unfold as we gain a better understanding of how it all works! Something to look forward to with warmer weather: going barefoot!! Shoes can often constrict movement of the feet, and can negatively impact walking, balance, sensory development, and proprioception (the understanding of our body’s orientation in the space around us). That’s it for last week! We’ve got plenty of good stuff coming up this week too! If you haven’t already, be sure to register for our WELLNESS WORKSHOP, THIS SATURDAY, March 30th at 11:30am: HOW TO RAISE HEALTHIER KIDS!